It is said that most people who fight change & disruption are always the “experts” in their fields. Disruptions happen really fast & those ‘experts’ almost always never see it coming. Disruption can be defined as a convergence of technologies that make it possible for companies to put together products & services that create new markets & radically transform, weaken or destroy existing industries. A few examples are how cars replaced horses in 13 years in NYC. One of the leading consulting firms was off by a factor of 120x when they were hired by AT&T in 1985 to predict the market size or customer adoption of the then newly invented mobile phone within 15 years. Kodak was bankrupt within 12 years when they didn’t anticipate the disruption of the digital camera. One thing we know, is that technology disrupts everything. 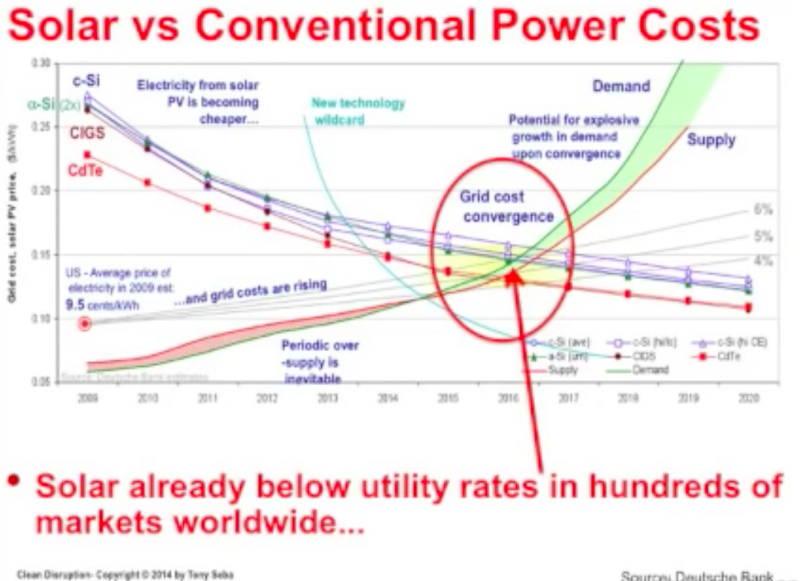 This is due to Moore’s law and how compute power decreases in cost every 18 months. Sensors, AI, AR, VR, IOT, machine learning, robotics, energy storage, 3D printing, big data & nano satellite technologies will become the prime reason industries such as healthcare, transportation, travel and many others will be disrupted within the next 20 years. Business model innovation is also as disruptive as technology innovation when we think of Uber, Airbnb, Instacart, Amazon, Deliveroo and all the new apps that are joining the sharing economy. 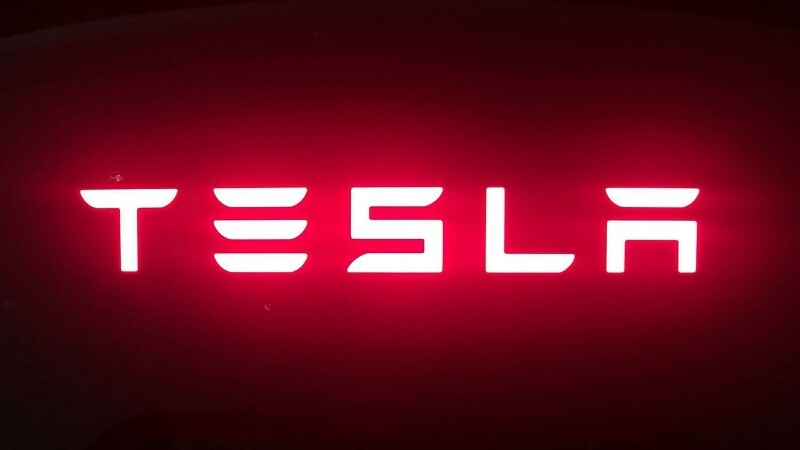 Tesla is constantly mistaken as a car manufacturer when its much more than that. Tesla is closed ecosystem of many products & services. Tesla as a company is best positioned on the cusp of big disruptions coming to several industries. They are involved in disruptive energy & transportation. This includes batteries, solar, rockets, hyperloops, tunnels and electric vehicles, and we haven’t even discussed autonomous driving. Elon Musk hasn’t even started to work on maximizing efficiency of their global supply chain which he said he would do. Energy storage disruption will come about as the cost of lithium ion batteries go down, the cost of solar power + batteries will go down to an expected 1$ per day for residential users by 2025. As prices go down, every house, warehouse, building, factory, mall & office building will switch to electric power when its cheaper than the grid. The problem with the traditional grid that created energy from burning fossil fuels was during peak times. Battery storage disrupted this concept with solar roofs + batteries. Users are already selling back their excess power back to the utility companies in European countries. Even if individual customers don’t consider “Rooftop Solar” which will be cheaper than the cost of transmission of regular electricity, companies & governments will consider “Distributed Solar” & “Utility Scale Solar” when its cheaper than the cost of electricity from the grid because it makes selfish economic sense. Tesla has already proven it plans to operate in all these solar markets with their home solar panels, their government battery farms in Hawaii and California as well as the possible projects in China & Australia. This focus on residential & commercial solar will be the catalyst that pushes Tesla to become the largest utility energy company in the world. It was always about energy. The cars are just the means that will create the demand for the energy. This way Tesla will create and fulfil its own supply & demand in a better way than the status quo, the open up their products & services to the masses. Their supercharger network will soon become greater than the number of all gas stations combined in the US. Just this year, they plan to double the estimated 5,000 of them they already have on major highways and will soon have them inside major cities. Not to mention, they will speed up the charge speed which is already pretty fast. This does not include the current 10,000 “destination” chargers that are also planned to be increased to 15,000 as well. Thus, Tesla in not only disrupting the automobile industry, rather they are disrupting energy, and that, will be the biggest gold mine of all time. Tesla will emerge as the leader in the car, trucking, utility, energy, power and travel industries among many others. This will make it the most valuable company in the world. As well as a car, truck and plane manufacturer. Watch out for the coming age of light & Tesla everything. You have been warned. . .